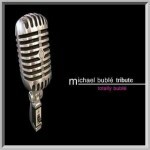 Totally Buble is the ideal choice of tribute show for that special occasion. Great music with charismatic charm that sets the tone for you and your guests to enjoy for the rest of the evening. Hear modern interpretations from a variety of eras delivered in style with great songs from the Rat Pack era through to latino standards and some great modern day classics. This combination of incredible material and contemporary big band arrangements lends itself to produce a selection of songs that will make any evening a great success. If you would like to book "Michael Buble Tribute-Totally Buble" for your venue, corporate event, festival, private party or Christmas show call us now on 086 8883666. For International enquiries contact us on 00 353 86 8883666.